Word-of-mouth referrals have always been king when it comes to building a client base. But today’s culture and digital landscape have make word-of-mouth more important than ever for medical practices. Why? Because patients are increasingly proactive about their healthcare, and the internet has made it easier than ever for consumers to compare and select a doctor based on anything from insurance acceptance to Yelp reviews to whether their waiting room has an aquarium. To stay competitive, doctors should think about how they can inspire word-of-mouth advertising among their patients. How do you encourage patients to share about you, your staff, the service they received, the overall patient experience, or anything (positive!) about their contact with your practice? We rounded up 4 ways to get them talking. This almost goes without saying, and is the least creative item on the list, but it has to be emphasized. If patients aren’t treated respectfully by staff, are waiting too long, if your office is dirty, etc., there’s no way they’re going to recommend your business to their friends and family. Excellent patient care is essential, and is the foundation of word-of-mouth referral. Survey patients to gather their feedback in order to find any weaknesses, and create a plan to solve those issues ASAP. Try putting something notable in your waiting room: unique artwork, a Keurig coffee service station, a couple of easy chairs. Outfit your restroom and waiting rooms with high-end soap, towels, etc. Offer a basket of toys and stickers for if patients bring a child with them to their appointment (if applicable to your type of practice). Get involved in the community through volunteering, sponsoring local arts or sports, etc., then document it with pictures or plaques in your office. Allow patients to fill out paperwork on iPads or laptops, rather than pen and paper. Print and give your patients folders stocked with relevant charts, information on product recommendations, directions for care, etc. so they have something physical to take with them and refer to later. A simple way to increase word-of-mouth referrals is to simply ask for them! Studies show that 92% of people say they trust referrals from people they know, and 83% of satisfied patients are willing to recommend services to others, but only 11% of practices ask for referrals. When patients mention how happy they are with your care, remember to ask them to tell their friends and family about you, and when they do, thank them! When you thank patients for referring friends, their endorphins and satisfaction level increase, and they’re far more likely to refer more people to you, becoming “evangelists.” It’s actually very common to get a majority of your patient referrals from just a few enthusiastic patients. Of course they will appreciate your verbal thanks, but studies show that demonstrating gratitude through offering an incentive to refer will make people more likely to speak up when given the opportunity. The gesture is more important than the dollar amount–a $10 coffee card will probably get about the same result as $50. Try to find something that will resonate with your patients; it’s a small price to pay for the value of a new patient. When you ask someone a favor (to refer you to their friends), you want to make it as easy as possible for them. In today’s digital age, that means building and maintaining a strong online presence, especially on social media sites. Why? Word-of-mouth referrals are, more than ever, being amplified in social media comments via Facebook, Twitter and others. Friends of friends see associations, comments, and connections without even the original patient intending it, in some cases. Patients research doctors on websites, read reviews and ask their friends and groups on social media before deciding which doctor to call. 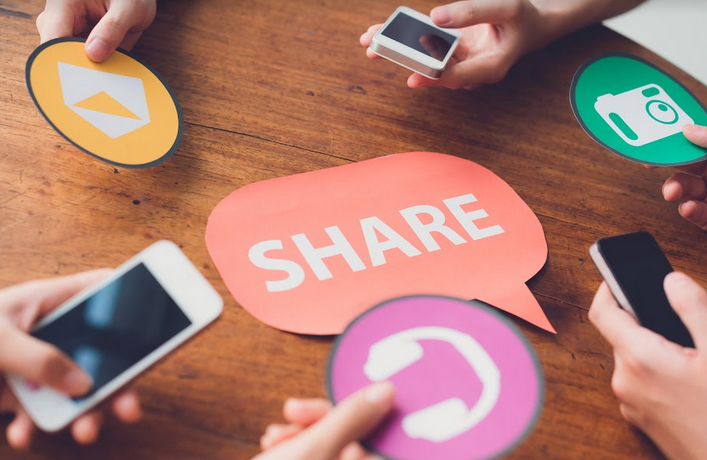 Join the conversation and make it easy for patients to share your info: they can tag you in a comment, “share” your business page with a friend, etc. If you’re actively posting on your social media accounts as well, you’ll only benefit more. The more quality content you share and engage with, the more visible you’ll be to group members, friends, acquaintances, etc. of the existing patients you are connected with. Even the simple fact that someone a potential patient knows “liked” your page can tip the scale in your favor. Want more marketing tips? For more on the latest marketing strategies for medical practices, contact us! We’d love to talk more about helping you get the most out of your marketing.